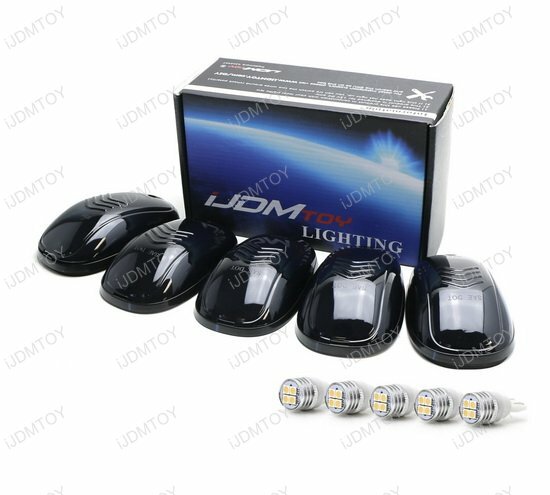 A: This is a universal fit product, meaning you can pretty much install these LED roof cab lights for pretty much any truck, SUV or RV. 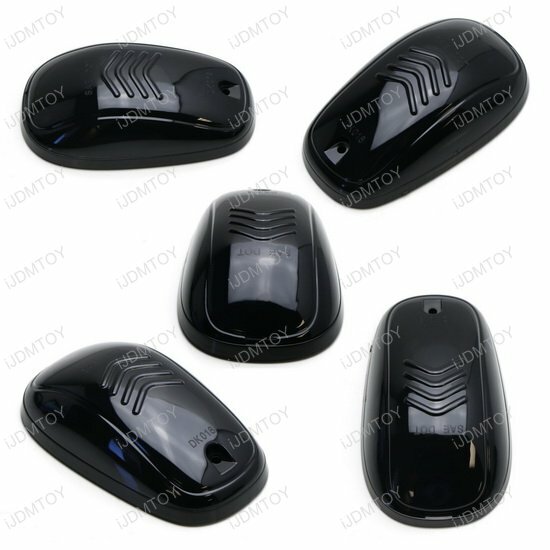 If you are doing a fresh installation on a vehicle without the roof cab lights before, you will need to drill holes for the mounting and wiring. 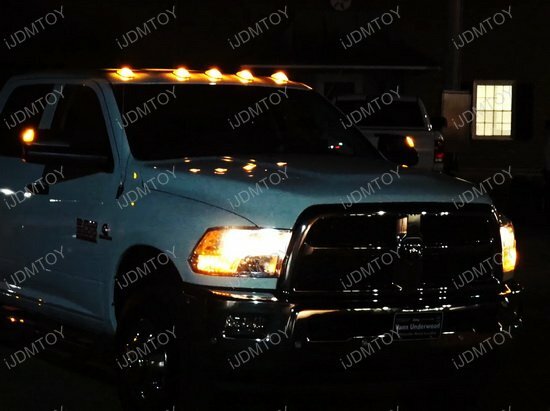 Q: Why aren't my LED cab rooftop lamps lighting up? A: The super bright LED light bulbs are polar sensitive so if they are not light up, they may be inserted in the wrong position. 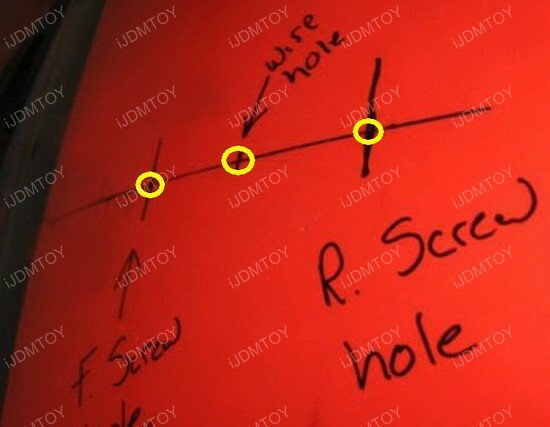 Flip the non-lighting LED bulbs and try again. 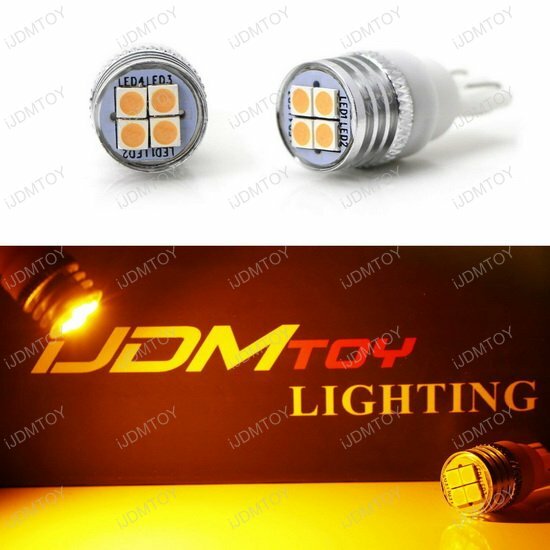 If you tried flipping the LED light bulb and it still doesn't light up, you may use the spare LED bulb included in your package. 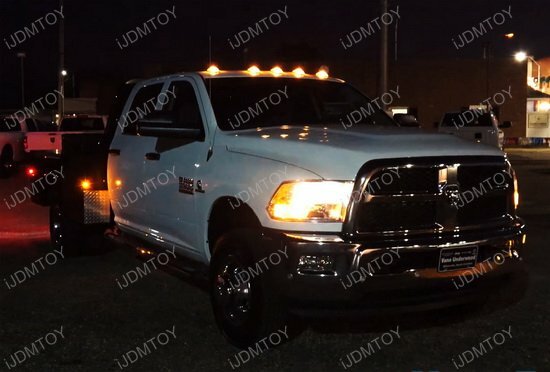 Strong lighting set higher up your truck is especially important to have in helping others spot you at night and determining the size of the vehicle headed their way. 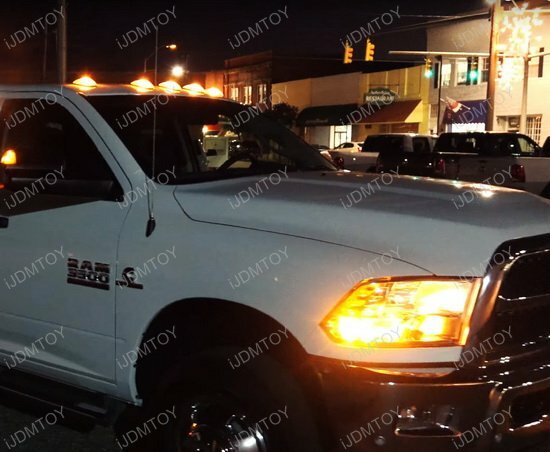 So whether or not your truck already comes equipped with cab roof lights, you'll want to upgrade to our smoked lens super bright amber LED cab roof lamps! This page features the 5-pc. 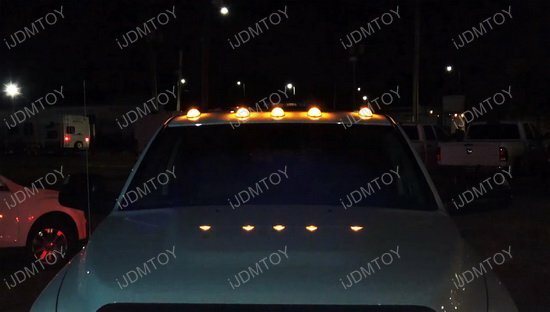 set of smoked lens truck cab rooftop lights with super bright amber LED bulbs fit for many trucks such as Chevrolet, Dodge, GMC, Ford, RAM, Nissan, and Toyota. 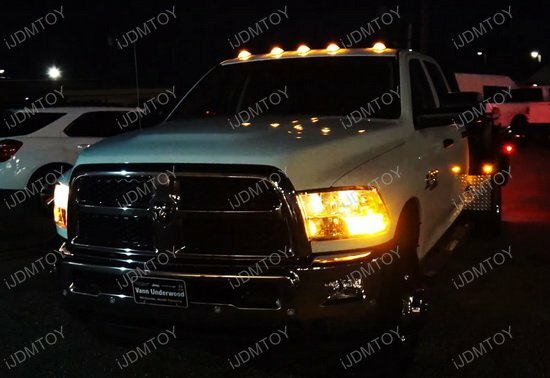 Meeting DOT FMVSS 108 requirements, each cab roof lamp assembly comes included with a super bright 3030-SMD high power amber LED light bulb to give your truck roof strong lighting output. Enjoy a stand-out style touch-up with the smoked lenses to either give your truck a contrast in color or to add to your existing smoked out appearance. The 5-pc. 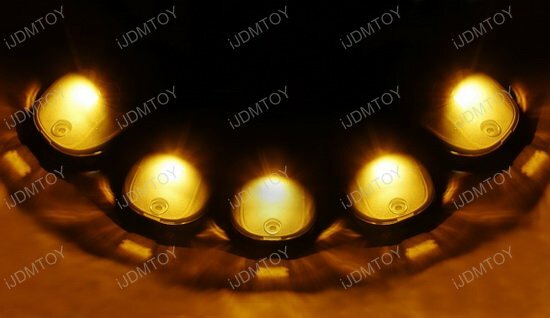 set of smoked lens truck cab rooftop lights are ideal for use as a replacement set of your truck's stock amber lens cab roof lamps or as a fresh new add-on. Some drilling is required if you are installing onto a lightless cab roof. 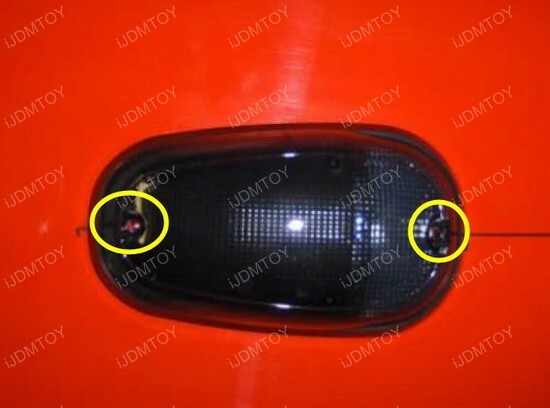 Padding is also included so the amber LED rooftop lamps will fit flush along any curved truck rooftop. 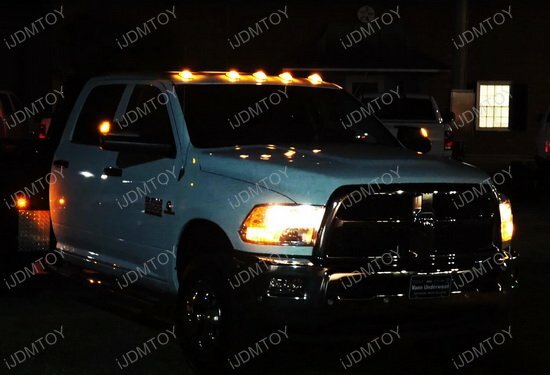 With the smoked lens LED cab roof lamps, your truck will promote safety and visibility while boasting a sleek style!